After a Florida teen last week attempted to murder her mother and younger brother by setting the family home on fire, authorities and local media are scrutinizing her preferred reading–namely online Slender Man fic and Atsushi Ōkubo’s manga series Soul Eater. Perhaps unsurprisingly, news outlets have seized upon the perceived connection to a highly sensationalized case in Wisconsin where two teens stabbed another girl with the hope of becoming Slender Man’s acolytes. But in the Florida case, the Pasco County sheriff’s bizarre rambling statement advocating censorship and accusing the Slender Man and Soul Eater authors of mind control goes far beyond the standard local-news hype. First, the facts of the case. After fighting with her mother over chores last Wednesday night, a 14-year-old girl in Port Richey, Florida started a fire in the garage of her family home at about 2:00 a.m. Thursday and fled while her mother and 9-year-old brother were still inside. Both occupants got out of the house safely, although the mother did not know her daughter’s whereabouts and tried to go back inside looking for her. While firefighters were dousing the flames, the woman was relieved to get a text message from her daughter: “Mom Im so sorry I dont know why I did it.” This was shortly followed by another message asking if anyone was hurt. When police located the girl at a park a few blocks away, she readily admitted to setting the fire. Their investigation also turned up a journal in which she had written on separate occasions: “Mom if you ever find this before it happens Im sorry…” and “if this keeps up there will be no safty [sic] in this house.” As of last week she was being held in a juvenile detention facility, but prosecutors are considering whether to charge her as an adult with arson and attempted murder. When that incident in Wisconsin occurred, the characters and the companies that create the Slender Man said, you know, this is an isolated incident. That was documented in newspaper articles. Well, if it’s isolated, it happened again. So they should retract that, and they should probably take these things off the website. They should probably remove all those things. I understand there’s a First Amendment and we defend the Constitution, I believe in it. However, when there’s times when they know they’re putting things up there and their targeted audience, you know, they’re absolutely manipulating their brain, causing them to do things, you know, such as try to set, you know, kill people, harm them, and this girl’s situation, you know, it leads to her trying to burn her family, kill her family?…That causes great concern. You know, not only from the Sheriff’s Office perspective, but I’m a dad. You know, I don’t ever want my kids reading these things. I don’t think any parent out there would want their kids to be reading these type of things. 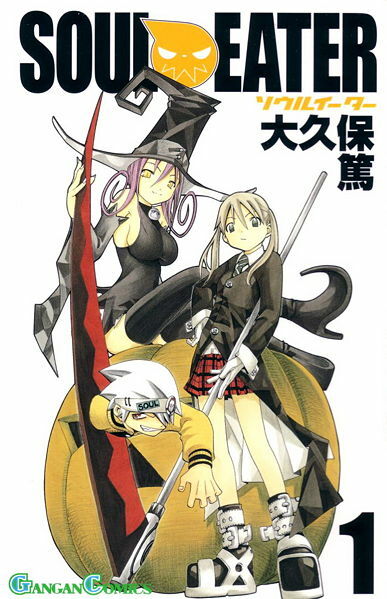 Nocco, who would be well advised to only read from prepared statements in future, described Soul Eater as an “online book” that is “very disturbing, it’s about killing people, trying to get their souls.” Local media accepted this assessment uncritically, even going so far as to report that the girl visited a nonexistent website called souleater.com. Some of them also eagerly hyped the association of Slender Man fic (of which they believe Soul Eater to be a subset, thanks to Nocco) with violent attacks, claiming that “there have been other cases around the United States this year connected to people who frequent these websites” or that Slender Man is “linked to violent crimes all around the country.” In fact the only confirmed attack by Slender Man readers–out of thousands who read, write, and share the popular online tales every day–was the Wisconsin case, where one alleged perpetrator has already been found mentally incompetent to stand trial and the other awaits a probable cause hearing next week. [The perpetrators in the Wisconsin stabbing were] called on by characters that were presented by these online magazines, you know, novels, so we can see there’s a clear direction, you know, she’s involved in reading these things, they obviously affect her and her decision making. You know, what we refer to as Gothic? She’s into that dark, you know, disturbing things that, you know, we would look upon and say you know this is not healthy, especially for somebody who’s in their teenage years–probably for anybody. It’s very very disturbing and we can see that this is the incidents that, you know, have caused this. [I]f these are the influences that are influencing our kids, and they’re telling them to kill their own family, you know, I don’t know what other crimes could be worse than, you know, with your own loved ones, you’re willing to kill. If you’re willing to kill your own loved ones, what else are you willing to do….The other side of it is, you know, from a moral standpoint, from a business standpoint, you know these companies that have these, you know, [looking down at notes] the Slender Man, the Creepy Pasta, the Soul Eater? You know, if you [the publisher] are a parent, if you care about people, look to see what your authors are writing about. Look to see what they’re influencing. Because how many more people have to die because of this? How many more families have to suffer because you want to put something out there that you think is entertaining? But what you think is entertaining is actually destroying communities. Actually, while both the Wisconsin and Florida attacks undeniably caused pain and emotional trauma to the victims, none of them died as Nocco implies. Certainly neither Slender Man fic nor Soul Eater manga are “destroying communities.” The 14-year-old arsonist’s fate now rests in the hands of prosecutors and judges, so we can only hope that they are a bit more discerning than Nocco and will objectively assess whether she requires mental health treatment. Meanwhile, the sheriff should be removed from office for his shoddy investigation, irresponsible accusations against creators, and disregard for the First Amendment.